After visiting the workshops and getting to know the production technology, the partner's representatives praised the quality of the products manufactured by LLC "JV AZMOL-British Petrochemicals". Shortly before this visit, the Middle Eastern partners were satisfied with their first order of the oil consignment of TM "AZMOL". 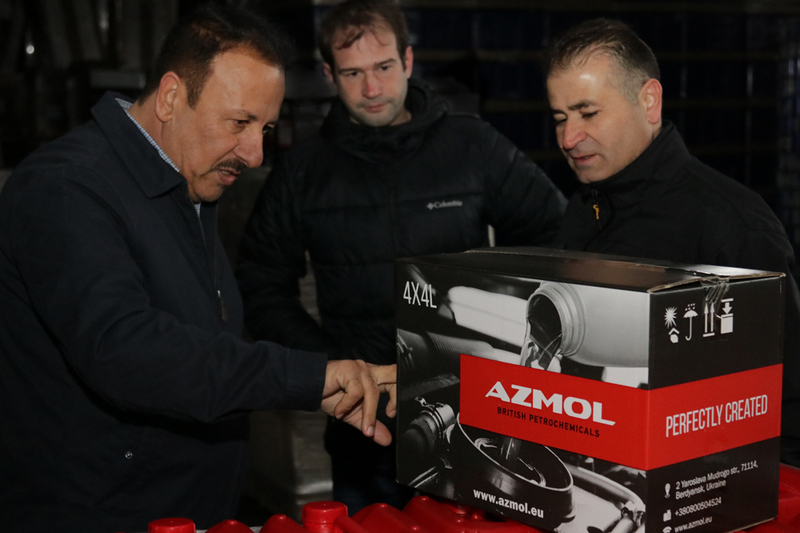 "We are interested in long-term cooperation with AZMOL, because this is a well-known, reliable and time-tested company," the representative of the Iraqi side Raad Rafi Adel stressed. The Iraqi partners especially appreciate the quality packaging and reliable packaging, so the delegation was pleased to note the strength of the cans and the tightness of the packaging used at the JV AZMOL-British Petrochemicals LLC plant. This factor provides full confidence that the containers can easily cope with high temperatures (typical for the Middle East region) during transportation. Representatives of the Iraqi delegation also visited a large warehouse, where a new shipment of goods was already being prepared for shipment to Iraq. Thus, the partners were given an opportunity to once again make sure of the quality of TM "AZMOL" products. Special attention was paid to oils in large packaging, branded barrels of TM "AZMOL" and the latest developments in the field of PVL oils. At the end of their visit, the partners visited the alley of the Renaissance, development and friendship. There representatives of both companies planted a tree, which became a symbol of long-term and fruitful cooperation.